The pictures are of my most recent find (which I'm sure is no secret) but I just had to see. 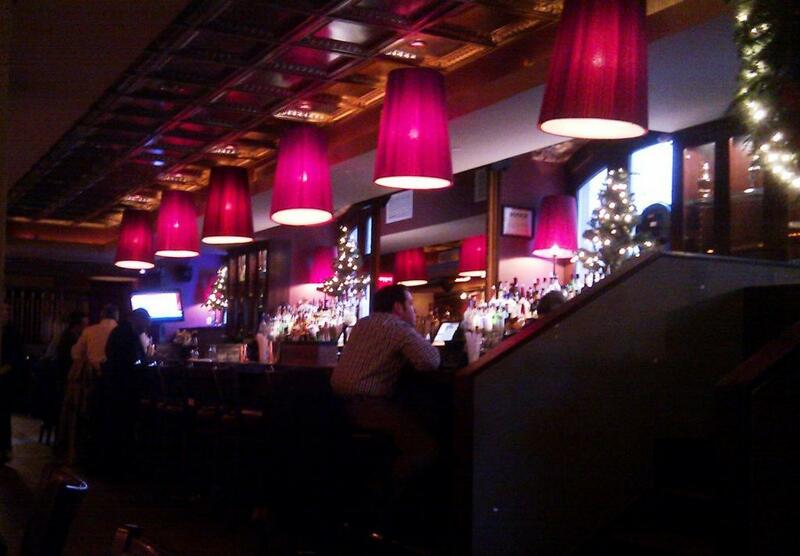 So I jumped on a plane over Xmas and went to Trinity Place bar, New York. 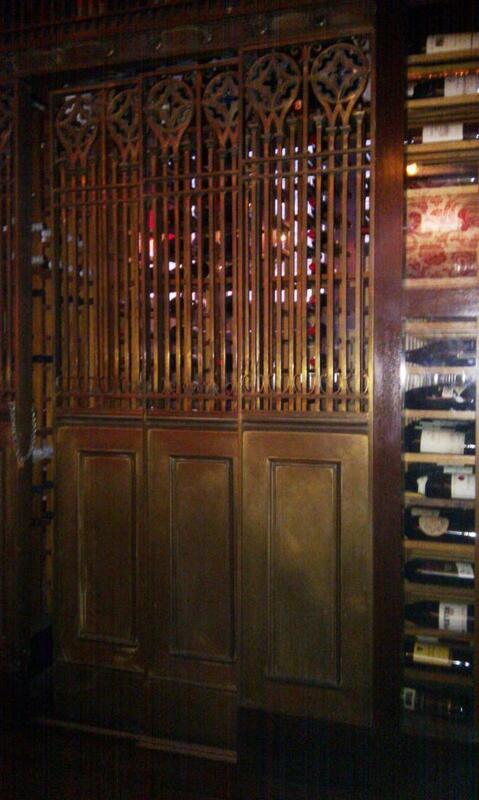 Sorry about the quality of the photos the lighting was great for ambiance and drinking, but not so good for taking pictures of safe doors! Nice place, didn't get chance to eat there as there was a private function on, but they did do a nice Black Russian to help me sit back and admire the doors. Yes, there is two doors, one each end. Some one had attacked them with fairy lights for the festive period and I think the time locks where missing, but still great to see in the flesh. 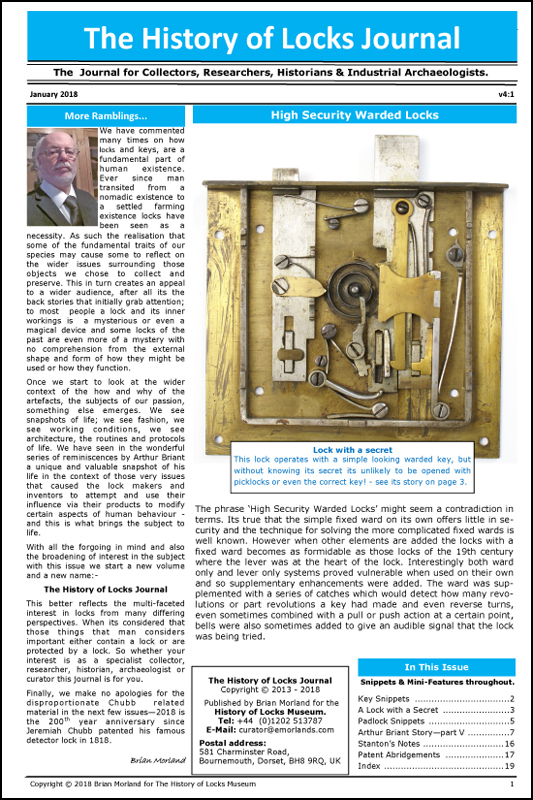 There are more details elsewhere on this web site, see http://www.antique-locks.com/showthr...hlight=trinity. Trinity Place is certainly one of my top places to visit some day in New York City, along with Bobby Van's, the Capital Grille, the Federal Reserve Bank, the Mossman Collection, and 510 Fifth Avenue. Maybe we should organize a two-day vaultophile guided tour . Maybe we should organize a two-day vaultophile guided tour . I like the idea! Could any lockoholic attend? When I suggested a vaultophile tour I was being semi-humorous, but some seriousness (for any and all) was there as well. 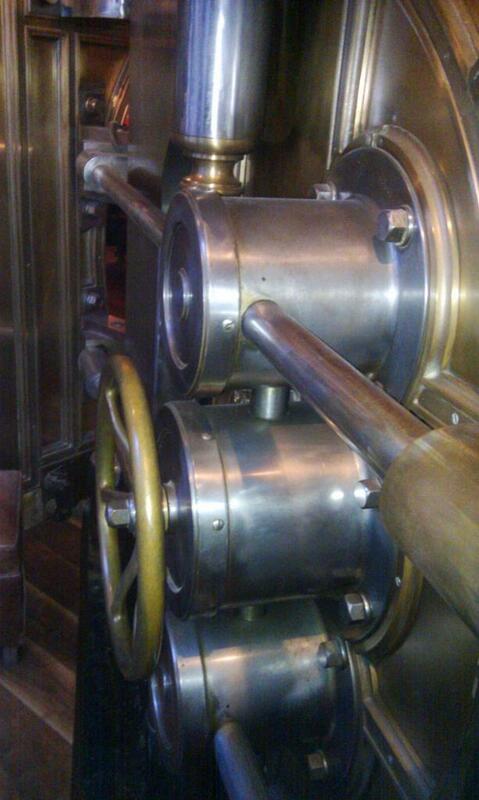 There are several other places in NYC that have vaults but which are not openly viewable (e.g. 23 Wall Street, the Woolworth Building, Doug MacQueen's mysterious "lower Manhattan" post several years ago (and I'm not criticising his choice not to specify the exact location)) for which a serious viewing could possibly be arranged. This is probably much more work to organize than it's worth. Back to the Trinity vault, it's a bit odd. It looks like there are two modern Mosler 302/402 locks (not surprising given the age of the door and the probability that parts had to be replaced), a missing timelock, and a huge automatic bolt motor. A real mixed mess of equipment. I wonder if it was originally a fully automatic mechanism, then later altered to a more common two-lock-and-timer arrangement. A really serious visit might include comparing the two big doors (with careful photography, I've noticed things in my own photos I never noticed in person), as well as a trip to the emergency door. Not a bad idea. I was "hoping" to get both the Lancaster show and the Lock Museum show this year. Possibly co-ordinated with one of those two shows would work for several people since neither is all that far from NYC. Of course when I have gone to Manhatten I feel like tourist in a foreign land, being the Mid-West country bumpkin that I am. Donnie You don't need to think it is a hand out but if it would make you feel better I bet he would take a drink if you two should meet or maybe keep an eye out for his type of locks he collects. follow the directions in the post above. I would love to go on a tour of those places if I could get away for a while at the right time. Thanks for the interest on my thread guys! 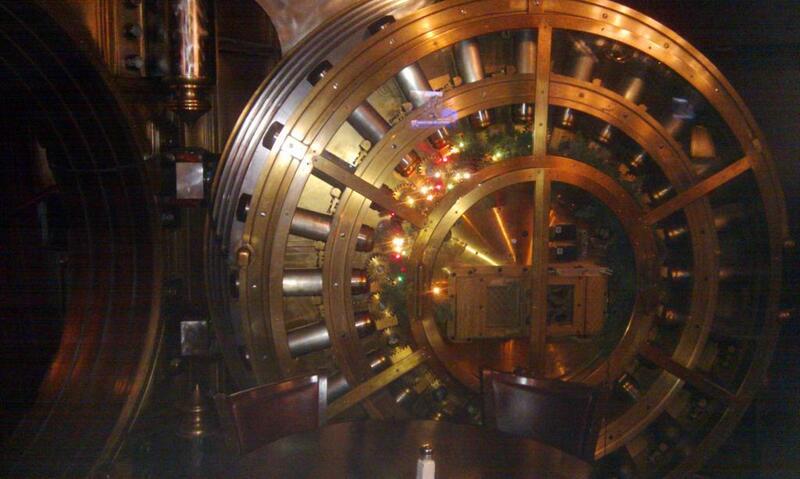 I'd love to go on a tour round the vaults in the US! Lets do it! When I suggested a vaultophile tour I was being semi-humorous, but some seriousness (for any and all) was there as well. A NYC Vaultophile tour is a great idea! I vote for having it in the summer and starting or ending it in Toronto to include One King West and Commerce Court North?